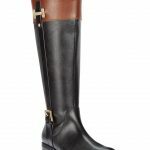 Fancy a Fall Wide Calf Boot? We've Found 35 Must-Rock Options! 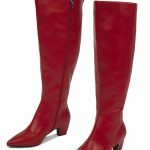 Finding the perfect fall wide calf boot used to be a challenge, but as plus size fashion options grow, so do our shoe options. 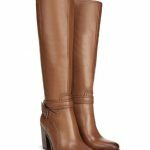 We’ve found 30+ wide calf boots to rock that are high on style and fit! The weather has dropped, the chill is back and the leaves are falling. Know what this means? 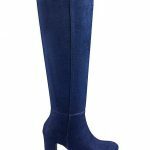 It is BOOT WEATHER! 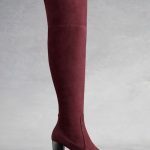 While we have already shared a few fun wide width booties to rock for the fall season, we thought it was the perfect time to share wide calf boots that hit knee high and over the knee/thigh high! We could all use a few new options to play in, right? 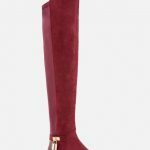 No matter your style, budget, and personal tastes, we have found over 35 fall wide calf boot options that we know you are going to love. Seriously. Flats, heels, thigh high, prints, texture- we found a few fly ones to play in. 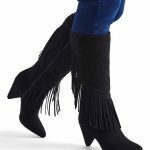 And if you do not see a few that you love, at least you will know where you can go to shop your fall boot needs! Are you ready to see what we have found? Tap the slideshow to begin! 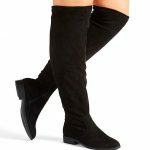 35+ Knee High & OTK Fall Wide Calf Boot Finds! Seeeeee? Did we find you a few new must haves for the fall season? In love and have way too many options? Never? 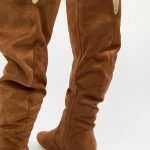 We must admit, our boot collection is kind of ridiculous, in the TCF closet… and we love it. 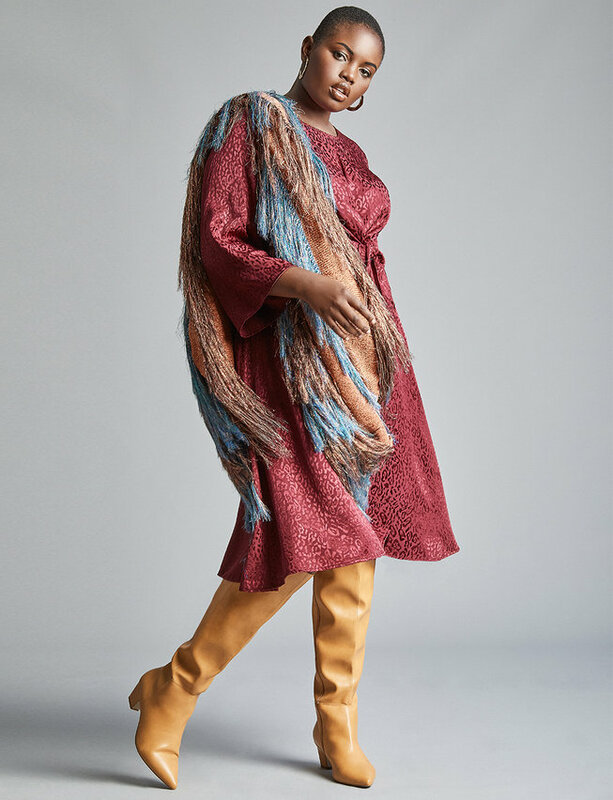 Those Eloquii red boots and sequins thigh high options? MUST. HAVE. Those yellow rain boots seem like a lot of fun too! Measure yourself or get measured. 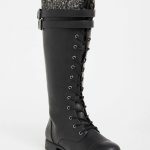 You measure yourself for bras, clothing, and glasses; why not your boots?! It is just as important. 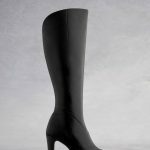 When measuring your calf, keep in mind what you will be wearing with it. If you find yourself in between sizes, go up for comfort. Fabrication matters. Does the boot have stretch? 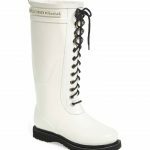 Will the boot give, relax with wear? Pay attention to how you can get in them. Is there a full side or back zipper? A half zipper on the inside? Is the boot a pull on? All important questions to ask yourself for best fit and comfort. 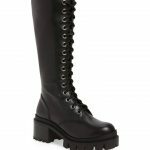 Is the boot wide calf AND wide width? Not all plus size women need both, while some do. Pay attention to the description to make sure it will work for you. Read the reviews. If the boot has reviews, pay attention to them. 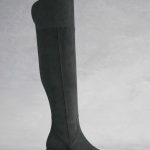 If YOU can, leave one for your fellow wide calf boot lovers! Which pair of boots were your favorite? Which ones are you already imagining outfits with? Let’s discuss! 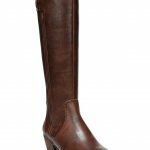 Have a boot fit question? Drop your question in the comments below and we will help you out! 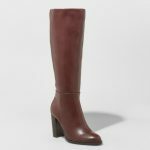 Still Looking for a Great Wide Calf Boot? Check Out the WideWidths.com Relaunch!